A woodstove without a thermometer is like a car without a speedometer. Informed operation of your stove's controls shows you when the fire consumes wood too fast, exceeding the stove's efficient operating zone, and helping to avoid over-firing which can damage your stove or worse. Under-firing can also lead to faster creosote build-up with inherent risk of chimney fires. Innovative design for accurate measurement of flue gas temperatures when using double wall stove pipe. Registers accurate readings up to 1600° Fahrenheit. . An indispensable tool for efficient wood stove operation. The Skytech Smart Stat III fireplace remote control system was developed to provide a safe, reliable, and user-friendly remote control system for gas heating appliances, eliminating the need for thermostat wiring. It works with many thermostatically controlled pellet fired appliances, too. The system can be operated thermostatically or manually from the transmitter. The system operates on radio frequencies (RF) within a 20' range using non-directional signals. The system operates one of 1,048,567 security codes that are programmed into the transmitter at the factory; the remote receiver's code must be matched to that of the transmitter prior to initial use. 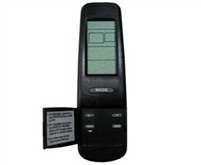 Batteries, remote transmitter (pictured), 115 VAC receiver, and instructions included. The primary difference between the Smart Stat and Smart Batt is in the receiver. The Smart Stat receiver used 115 VAC power instead of batteries. The Skytech Smart Batt III fireplace remote control system was developed to provide a safe, reliable, and user-friendly remote control system for gas heating appliances, eliminating the need for thermostat wiring. 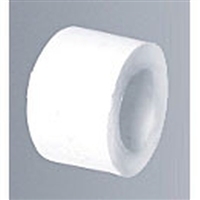 It works with many thermostatically controlled pellet fired appliances, too. The system can be operated thermostatically or manually from the transmitter. The system operates on radio frequencies (RF) within a 20' range using non-directional signals. The system operates one of 1,048,567 security codes that are programmed into the transmitter at the factory; the remote receiver's code must be matched to that of the transmitter prior to initial use. Batteries, remote transmitter (pictured), receiver, and instructions included.